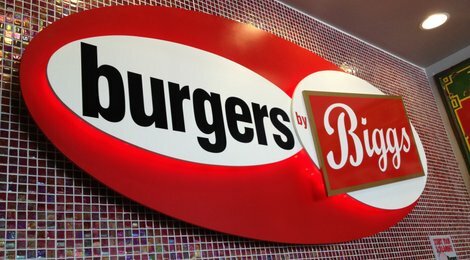 Burgers by Biggs is the sister restaurant of the locally owned Bigg’s BBQ, the longtime BBQ favorite of Lawrence on south Iowa street. We grind our own burger daily, it is fresh brisket, inside round and ribeye to make a fantastic burger. Burgers are the focal point but do not miss our ground chicken burger and is all white meat and zucchini for a healthy option. We hand cut our fries daily and make shakes the old fashioned way. With a wonderful patio it is always fun to enjoy a beer and a burger in the sunshine too. We look forward to seeing you soon!